During my last few days in Malaysia, I headed north to Penang, the location of another UNESCO Heritage Town, Georgetown. 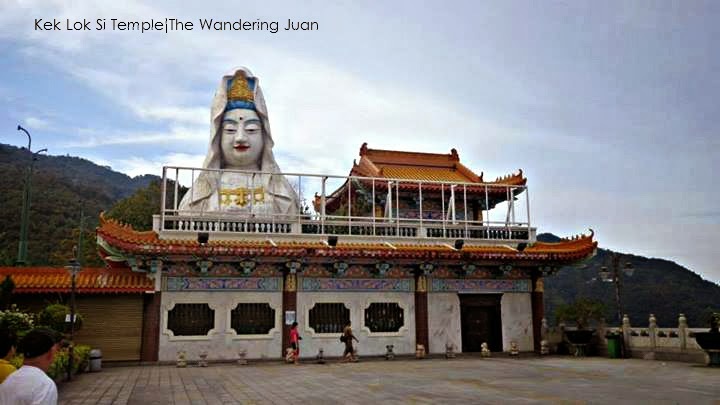 My wandering feet took me to Kek Lok Si Temple and Penang Hill. These two destinations were near each other. 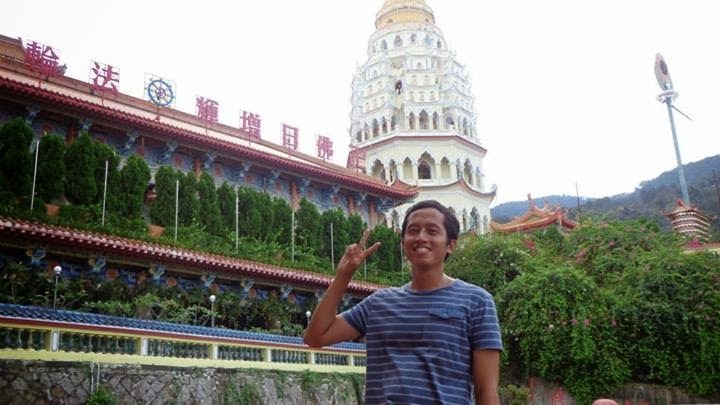 My new found Aussie friend and I decided to hit two birds with one stone by taking the bus to Penang Hill then took the bus back to Air Itam Station to get to Kek Lok Si Temple. I found myself making a new friend during my solo trip to Putrajaya back in KL. I decided to meet up with him when he told me he was also going to Penang. 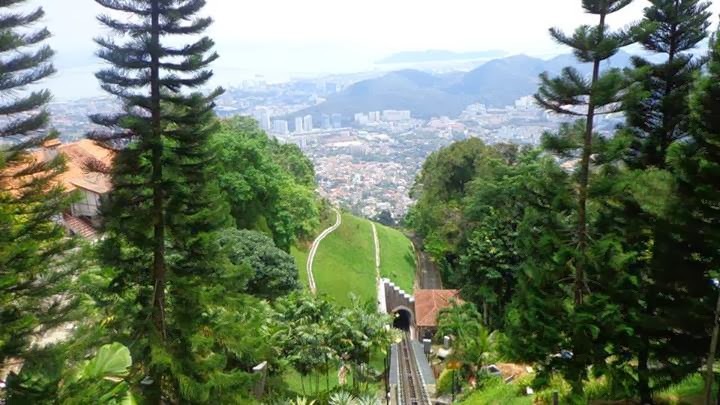 Our first stop was Penang Hill, it was easy to get to because it only took one bus ride for an hour for around MYR 3. Upon arriving at the base of the hill, there were already droves of tourists who are lining up to ride the train up the hill. 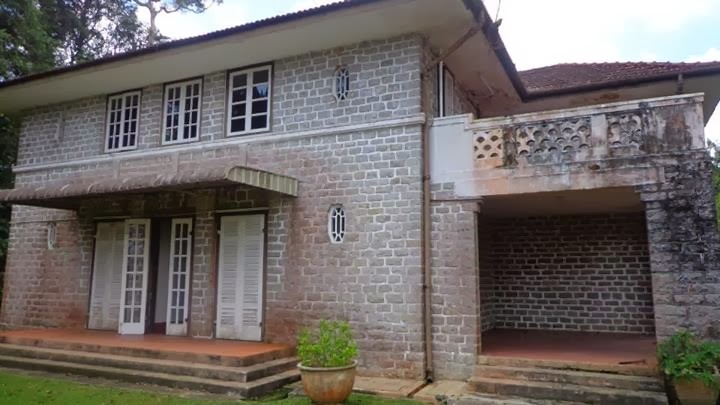 The hill rose to 823 meters above sea level. We bought the MYR 30 round trip tickets to the top of the hill. Upon arriving at the top of the hill, I was really disappointed. Although the hill had all of the amenities of a developed attraction, it was not what I was hoping it would be. I think the hill is better suited for families with kids. My friend and I wandered off to an abandoned house that looked like a good location for a horror movie. My friend and I got lost on the way back to the train station, and managed to walk around the mountainside before we were redirected by the security personnel in the mountain. For me, the only redeeming factor of the hill was the great view overlooking the city. The mountain was overdeveloped in my opinion. 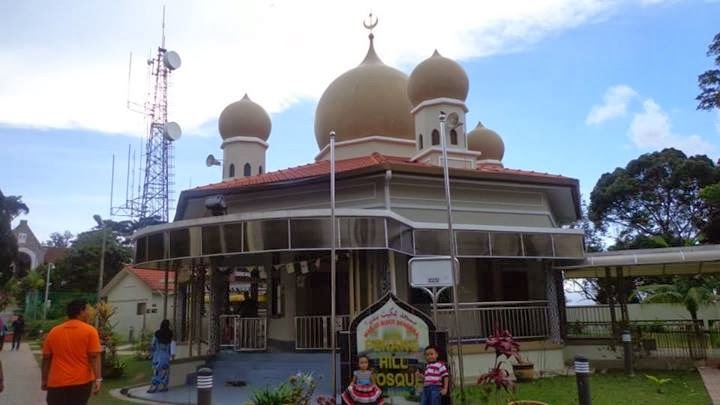 There was a Muslim and Hindu temple on top of the hill, there was also a small playground. The amount I paid for wasn't worth it in my opinion. You have the option to go up and down the hill without using the train. 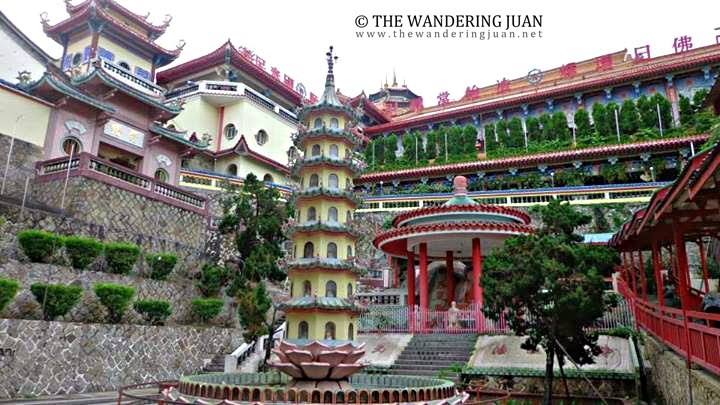 We took the bus bound for Air Itam, then alighted near Kek Lok Si Temple. 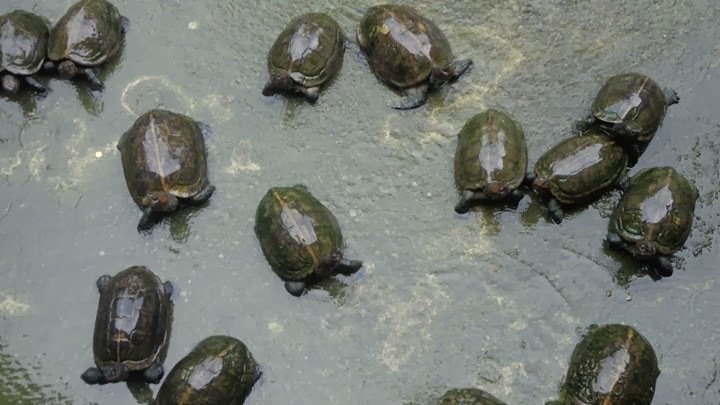 The first thing I noticed were the many turtles at the foot of the temple. Kek Lok Si Temple began construction in 1890. 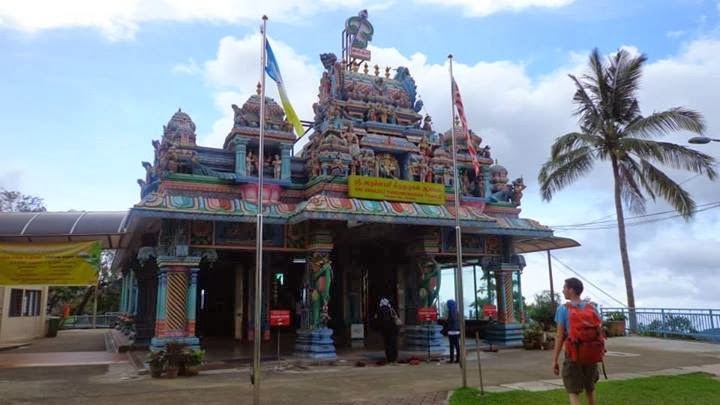 The temple was inspired by the Goddess of Mercy Temple. 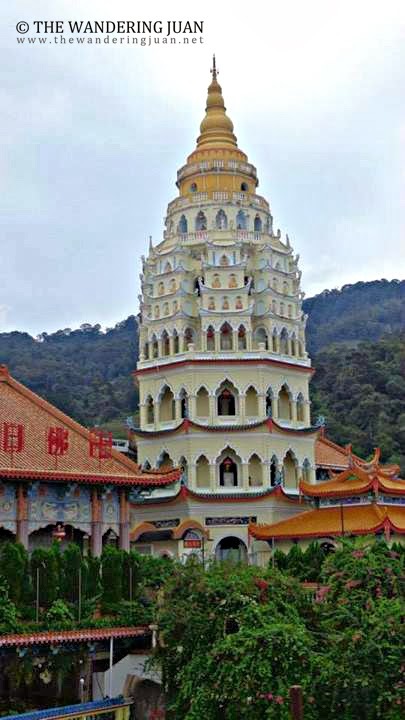 The Kek Lok Si Pagoda mixes Chinese, Thai, and Burmese architecture. I went up the pagoda to get a good view of the temple complex. There is a MYR 2 fee to enter this part of the complex. 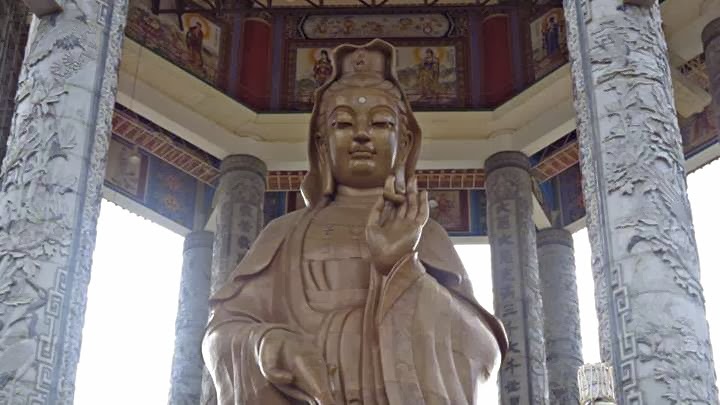 We made our way to the top of the complex and were greeted by a huge bronze statue of Kuan Yin. 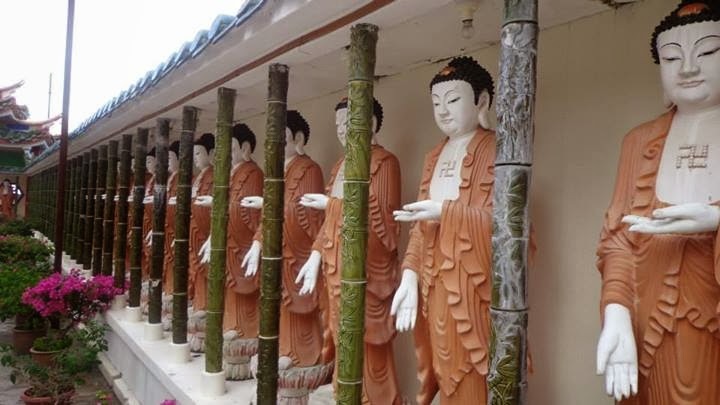 Kek Lok Si Temple was the best attraction I visited in Penang, This temple continues to grow because of the generous donations of the Buddhists living not only in Penang but also in different parts of Malaysia. 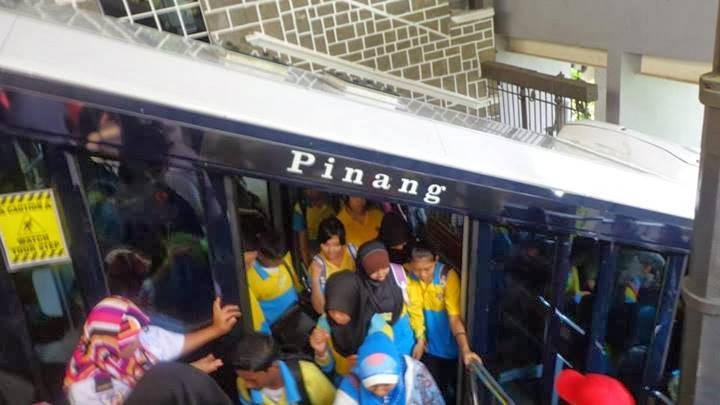 There are several buses that go to Penang Hill coming from Georgetown, you can't miss it just ask around. 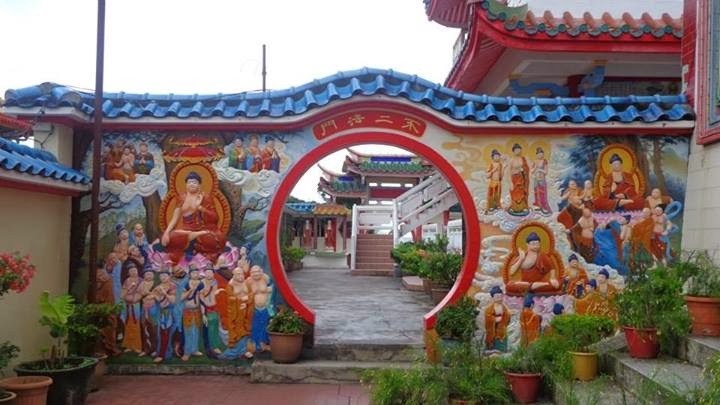 There are no buses that go directly to Kek Lok Si Temple, but you can alight at Air Itam station and walk to the temple, it's easy to find. The fare is only around MYR 3-5 one-way, if I'm not mistaken. Better for you, you traveled a lot and this Penang Hills. Awesome friend! Wow! I admire people who can travel alone. I never had the chance to do that. 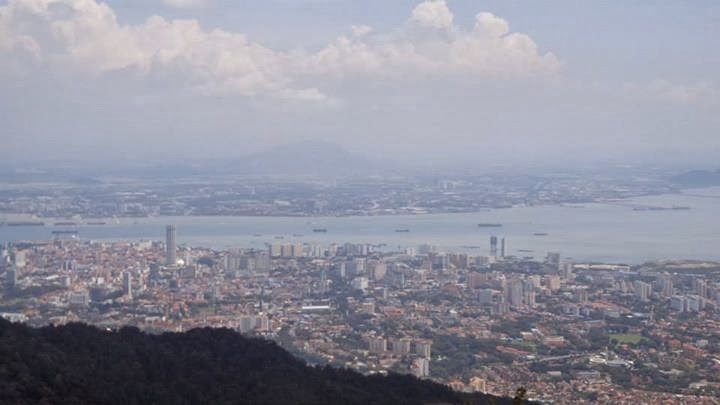 I could just imagine the view surrounding Penang Hills from that vantage point aside from the temples. It must be really scenic up there. I knew there's much nothing to see in Penang Hill that's why I didn't put it on my list during my second visit in Penang. Kek Lok Si is beautiful during the Chinese New year, one for the books, just forget the crowd. I'd like to visit Malaysia someday. Not a huge fan of traveling, but these pics show me what I'm missing.